Robot Love is giving away a free copy of Mommy Time-Out Means Mommy Can to celebrate Mother’s Day this year. If you’re a busy mom who needs a break but are struggling to make time for yourself, Mommy Time-Out Means Mommy Can is a quick, easy read filled with colorful pictures and helpful tips on how to make sure you get the time out you need. You can read my review of Mommy Time-Out here. The giveaway will run from Thursday, April 18 to Sunday, May 12, 2013. The giveaway is open to US residents only. The winner will be notified via e-mail. For more details on how to enter, see the Rafflecopter form below. Enter to win $235 through the Cash Cow PayPal Giveaway! 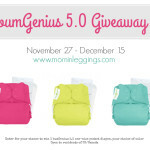 Tuga Swimwear Reusable Swim Diaper Winner! When I take a mommy time out, its a really long, hot shower or bath. Occasionally I go out with friends! I feel the caregiver contact list will be the most beneficial for me! Bad Behavior has blocked 314 access attempts in the last 7 days.